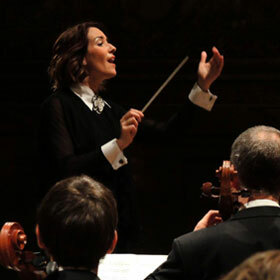 The resplendent Alondra de la Parra, whom Plácido Domingo calls "an extraor­dinary con­ductor", and the Tonhalle-Or­chester Zürich are joined by Jan Lisiecki in a program fea­tur­ing Stravinsky's Suite from the bal­let Pulcinella, Mozart's Piano Concerto No. 9, and Beethoven's Sympho­ny No. 3, "Eroica". 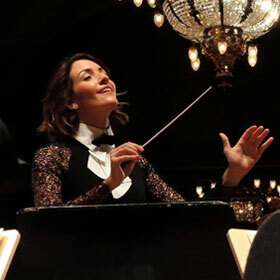 Con­ductor Alondra de la Parra has gained widespread at­tention for her spellbinding and vibrant performances, making her one of the most compelling con­ductors of her generation. She is an of­ficial Cultur­al Ambassador of Mexico. 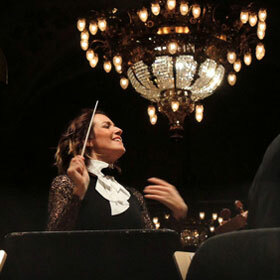 Le Monde states that "there is no doubt that, with Alondra de la Parra, classical mu­sic has arrived into the 21st centu­ry". 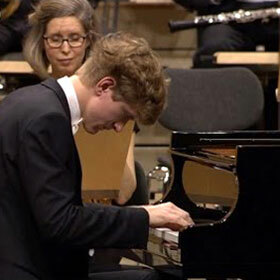 She is joined by pian­ist Jan Lisiecki, a young Cana­dian artist who has won acclaim for his extraor­dinary interpretive ma­tu­rity, dis­tinctive sound, and po­et­ic sensibility. 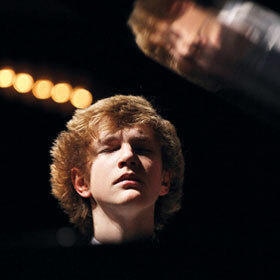 The New York Times has called him "a pian­ist who makes ev­ery note count". 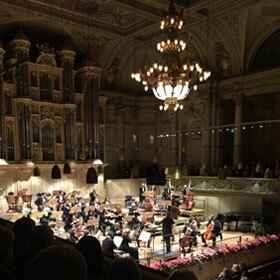 Under the baton of Alondra, the Tonhalle-Or­chester Zürich perform Stravinsky's Suite from the bal­let Pulcinella, Mozart's Piano Concerto No. 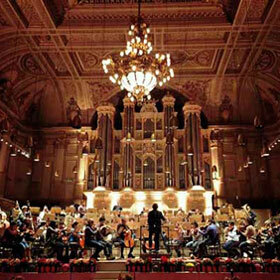 9, and a mon­u­ment of the classical repertoire, Beethoven's Sympho­ny No. 3, "Eroica". 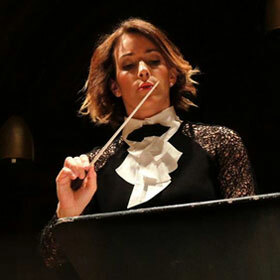 Sympho­ny No. 3 in E-major, Op. 55 "Eroica"